This is Town Hall St viewed from the Northgate end. On the left are various shops and Tony's Empress Ballroom. On the right hand side, but not really visible, is the side of the Co-op Emporium. The entrance would be approximately where the people are. It is now of course, the central library. 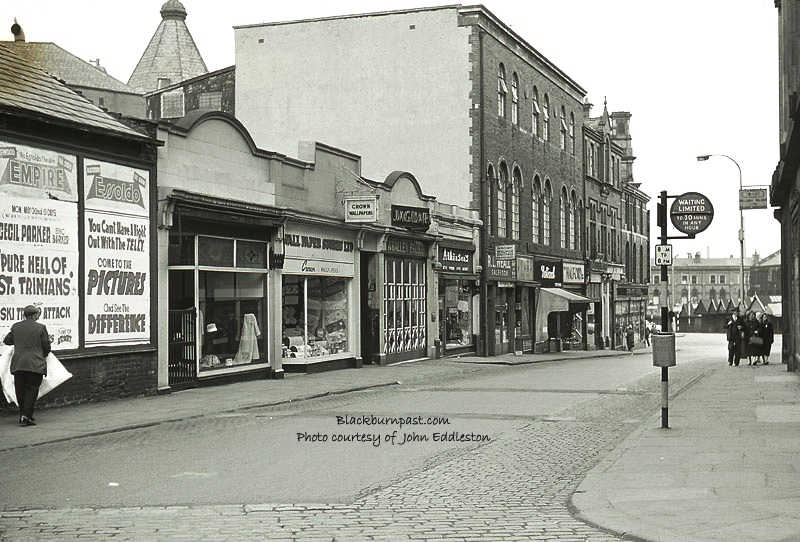 In the distance at the bottom of the street, can be seen some of the market stalls / units on King William St, where we would now see Hornby's statue by the old Town Hall and perhaps the corner of the British Home Stores.